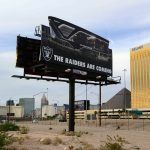 The Las Vegas Stadium Authority (LVSA) met this week to continue discussing the potential lease agreement between the $1.9 billion football stadium and the NFL’s Oakland Raiders, but representatives for the team opted to sit on the sidelines and not attend. The nine-member board was formed through the passage of Senate Bill 1, legislation that established powers and duties and the legal framework for bringing professional football to Vegas. The planned 65,000-seat domed stadium is to be owned by the city. 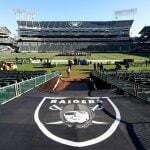 Yesterday, the stadium commission discussed possible lease terms between Las Vegas and the Raiders should the team relocate from California. Owner Mark Davis has proposed a $1 per year rent contract. While that made plenty of headlines, the LVSA said it’s irrelevant since the city can’t take rent money on the stadium “because it would jeopardize the tax status of the bonds” being issued by the government. Las Vegas, through hotel occupancy taxes, has committed $750 million to constructing the stadium near the Strip. The Raiders would fund the remaining $1.15 billion through financing reportedly backed by Bank of America. The public’s return on committing $750 million to a stadium, according to the LSVA, is increased economic activity, jobs, visitor trips and associated spending, tax revenue, and a new entertainment venue. 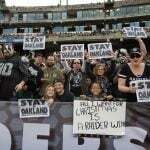 While a plan has been proposed in Oakland to build a new stadium there and keep the franchise in the Bay Area, all signs point to Davis petitioning the NFL to allow him to move to Vegas. He’ll need 24 of the league’s 32 owners to endorse his plan. It was previously assumed that Davis needed to have all the details of his relocation ironed out before presenting his case to the NFL. But the vote is expected to take place during an owners meeting later this month in Phoenix. “My sense is that the approval will probably come . 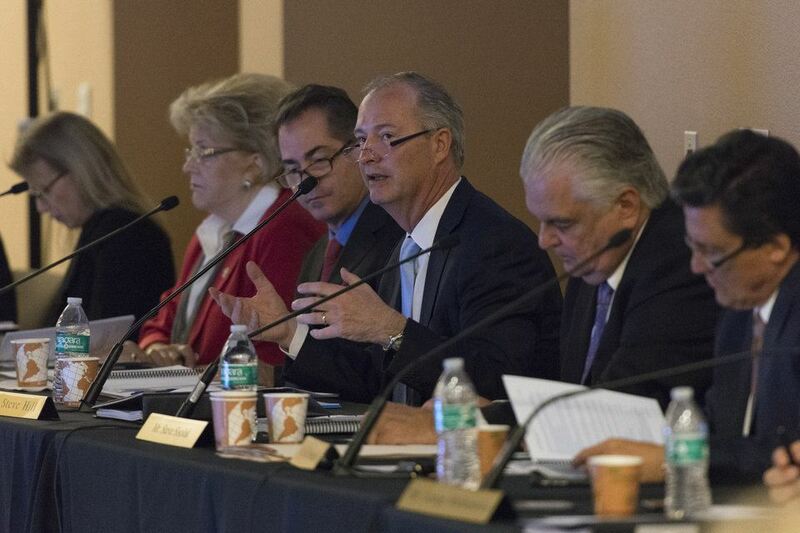 . . with some conditions,” LVSA Chairman Steve Hill told the Las Vegas Review-Journal. 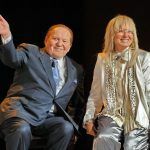 The odds seemed stacked against the Raiders moving to Vegas after billionaire Sheldon Adelson folded on his $650 million pledge to building the stadium. An unattractive investment for private capital according to most economic experts, the Las Vegas Sands owner was reportedly interested in lending his millions in what was deemed a “legacy project” for his name. But after the Raiders presented the $1 lease agreement that didn’t require Adelson’s wallet, the Venetian and Palazzo owner bailed. Goldman Sachs, which was reportedly going to finance Davis’ $500 million commitment, quickly followed. That left a $1.15 billion hole, but Dallas Cowboys owner Jerry Jones is rumored to have worked with Davis in convincing Bank of America to join the team. The next LVSA meeting will take place on April 20. At that time, Davis could appear before the board with the blessing of the NFL to relocate to the Strip.